This 144 page book will be published on April 4th 2019 by Walter Foster books and is now available for preorder from online book sites such as Amazon and Booktopia. In September and October of this year I was so blessed to be able to travel to the UK with my husband Steve and youngest son Sam to run a workshop in Monmouth and Cumbria. We had THE most incredible time and I have to say a HUGE thank you to Lisa Ann Watkins for organising the workshop tour and putting together an amazing time for everyone and also to thank all the wonderful students who took the time and trouble to attend the workshops. It was such a joy to meet everyone, some of whom had been online friends for years. Conversion Charts now available in Hard Copy! 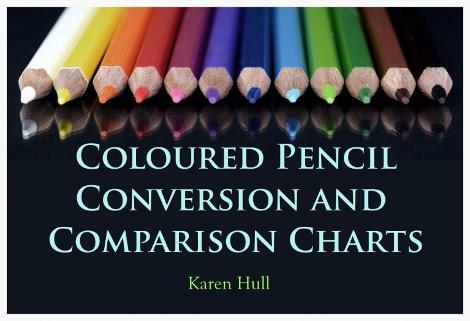 Over the years, I have received numerous emails from people asking if they could purchase the conversion charts in hard copy and I am super excited to share that you can now purchase them as spiral bound premium quality full colour books from my Lulu Book Store. I am yet to receive my copies but I am hoping that anyone who purchases them finds them very useful. As these books are printed digitally I cannot guarantee the accuracy of the colour matches but these charts are designed to be a used as a guide only to help you work out which colours to subsitute when working between brands and to give you some idea how the different colours and brands appear on a range of surfaces. 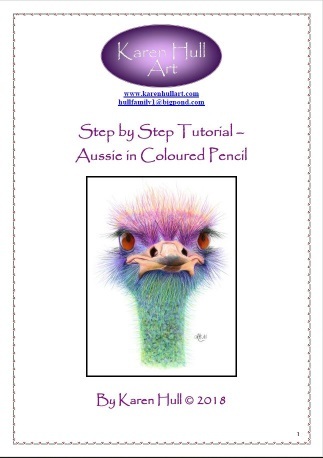 Need some help with your art? Here are two cute little helpers that would love to give you a hand! 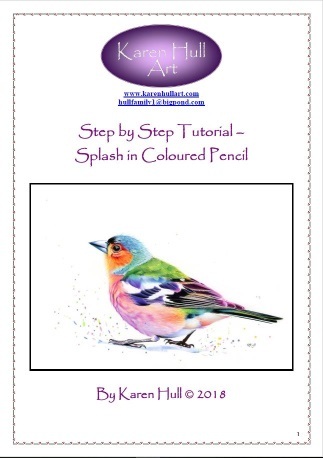 This 34 page tutorial has comprehensive instructions with numerous full colour images and shows you how to move away from straight realism with the use of colour and creative licence. 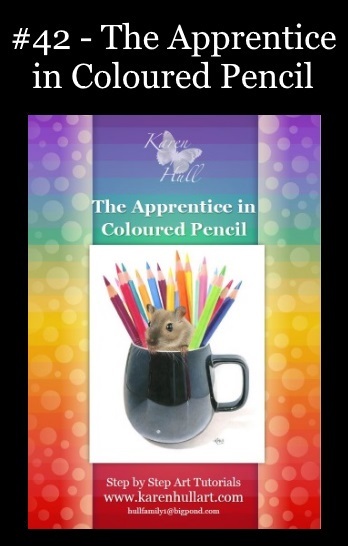 You will learn not only how to render our beautiful Rainbow Prince but will gain confidence in applying the principles of creative colour to your other artworks as well. This artwork has been completed on Xerox Nevertear paper but can also be completed on drafting film or your smooth surface of choice. For some strange reason I have been hoarding all my artworks away for the last 2-3 years but I decided it was time to pull them out of hiding and make them available on my website. You can find out more here. Many coloured pencil artists, like myself, struggle with trying to loosen up their artworks and move away from straight realism. 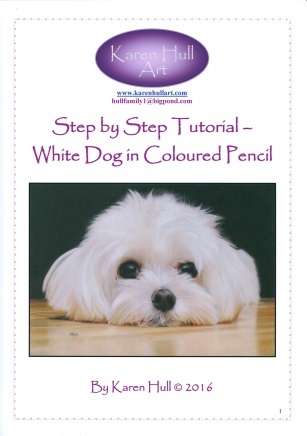 This 32 page comprehensive tutorial takes you through the process of adding a colourful background using either watercolours or watercolour pencils and then shows you how to seamlessly incorporate your main subject such as this gorgeous dachshund for a uniquely colourful and creative portrait. 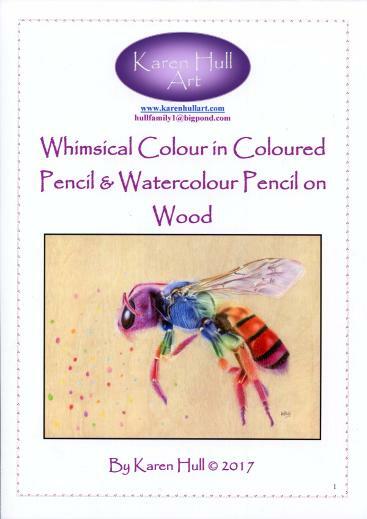 These two new tutorials will show you how you can achieve beautiful and vibrant colours really quickly on timber surfaces by combining watercolour pencils with regular coloured pencils. 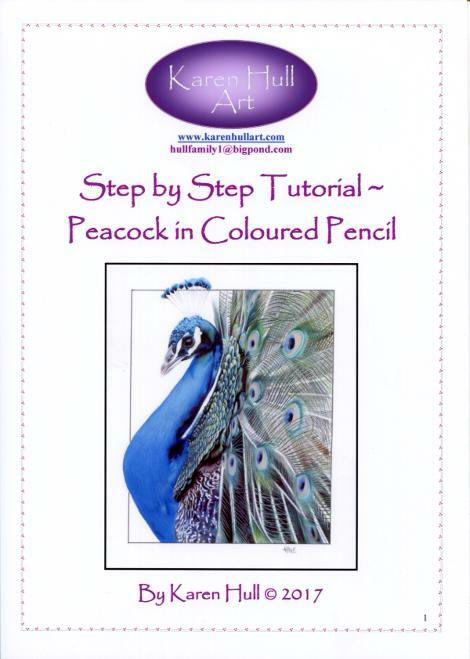 Both tutorials can also be completed on regular watercolour papers as well, or you can even work on regular papers but leave out the steps that involve using watercolour pencils. 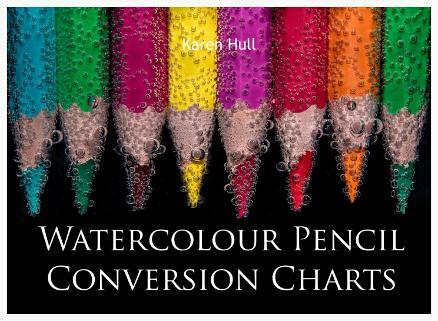 If you have different brands to the ones I have used then you can use the Coloured Pencil Conversion Charts to work out which colours to substitute or in the case of the watercolour pencils, then you can use the Watercolour Pencil Charts. Watercolour Conversion and Comparison Charts now available! 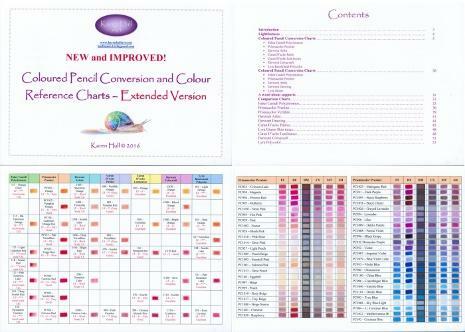 All New Watercolour Pencil Conversion and Comparison Charts now available. Using the same format as the original Coloured Pencil charts, these charts convert and compare 8 brands of watercolour pencil including the Faber Castell Albrecht Durer, Prismacolor watercolour pencils, Derwent watercolour pencils, Derwent Inktense, Caran D'ache Supracolors, Caran D'ache Museum Aquarelles, Cretacolor Monolith and Cretacolor Marino. 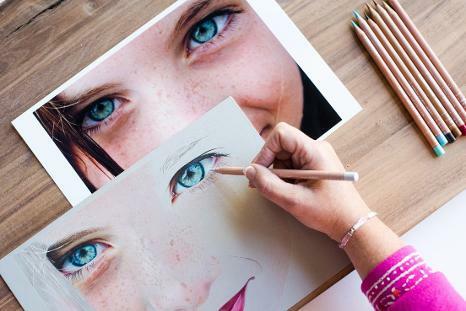 There are colour swatches for all colours in these brands on four different surfaces which include Lanaquarell watercolour paper, Clairefontaine Pastelmat, Colourfix Smooth and Watercolour Canvas. Coupon Details: Get 50% off the full retail price of select Craftsy classes taught by Karen Hull. Cannot be combined with any other coupons. Expires April 26, 2017. 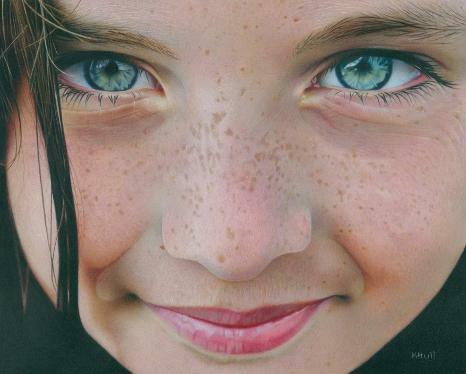 Learn to draw this beautiful portrait in my upcoming Craftsy Class entitled Step by Step Photorealistic Portraits in Coloured Pencil and is due out late November. 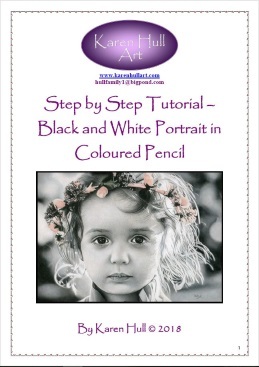 Register here http://craftsy.me/KarenHull_Giveaway for your chance to win my upcoming Craftsy class Step by Step Photorealistic Portraits in Coloured Pencil for free. The winner will be announced on the day the class is launched towards the end of November 2016. 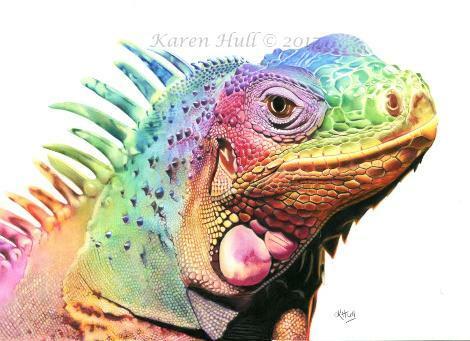 All New Coloured Pencil Conversion and Colour Reference Charts ~ Extended Version now available here! 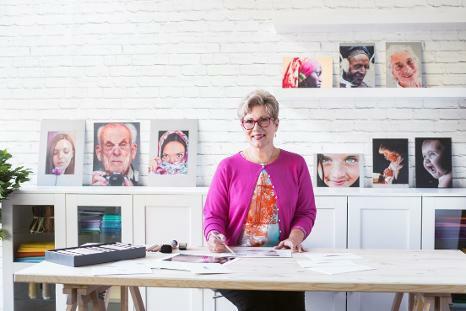 I am thrilled to announce that I will be running my first workshop within Australia thanks to the Hawkesbury Gallery. 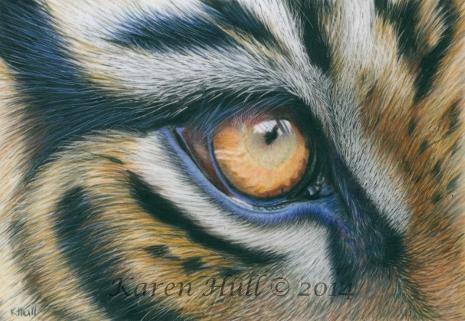 This workshop will be an introduction to using coloured pencils on drafting film and we will be working on the tiger eye image to the left. The workshop will be held on Saturday the 20th August from 10:30am to 3:30pm. Bookings can be made directly with the gallery at (02) 4560 4441. Cost of the workshop is $75, BYO lunch. 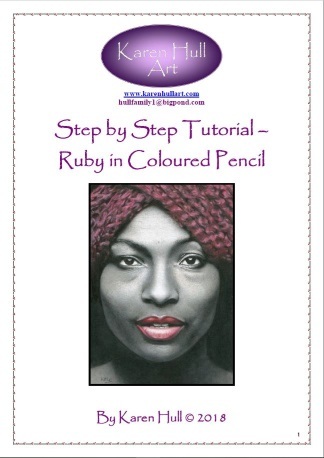 This 30 page information kit road tests 14 different pencils along with the Caran D'ache Neocolor II and shows you which coloured pencils will give you the darkest, most uniform black colour for your backgrounds. 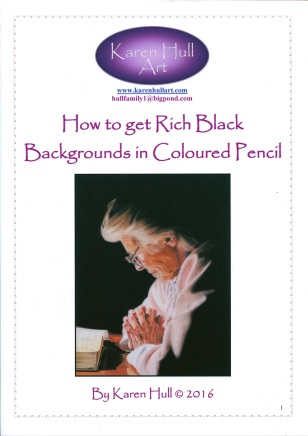 We look at whether using a blender or solvent will make the blacks smoother or richer and also how the wax and oil based pencils perform when used over other mediums such as markers and watercolour pencils. 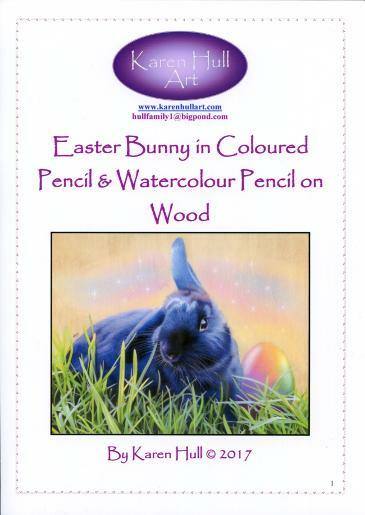 Whether you are a purist and prefer working in 100% coloured pencil, or are happy to mix your coloured pencils with other mediums there is a solution in this kit for you. We road test the blacks on a smooth paper surface, a textured one and drafting film. You can find this kit here. 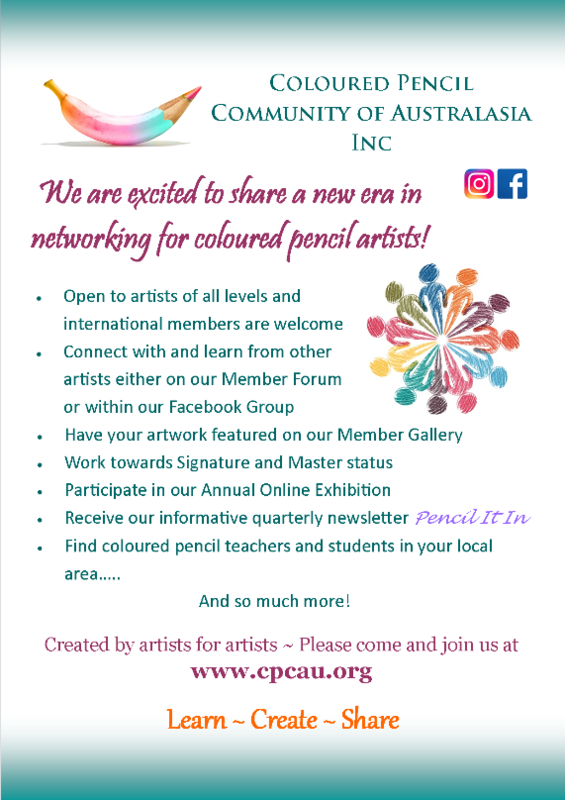 All Your Coloured Pencil Questions Answered! 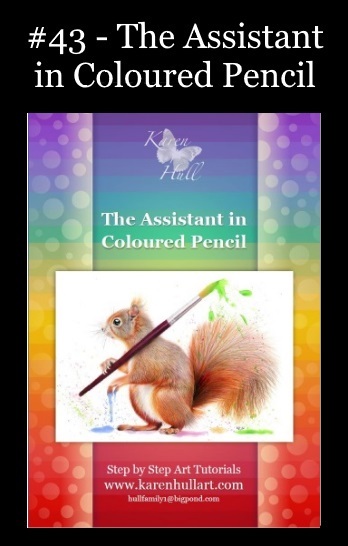 I am super excited to share the release of my latest kit which is a 52 page information kit that answers all the most commonly asked questions by coloured pencil artists: which pencils should I buy, which paper or support will best suit my needs, how do I blend coloured pencils. This kit answers all these questions and so many more. 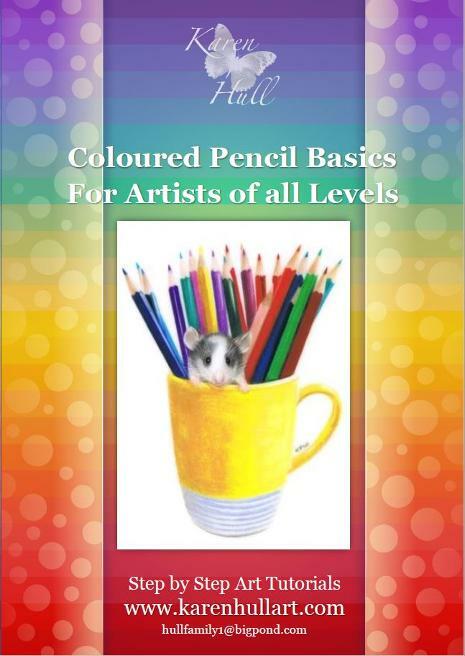 Coloured Pencil Basics for Artists of All Levels will prove to be a valuable resource with links to coloured pencil societies, books, websites, magazines, videos so that all the information you need about coloured pencils is at your fingertips. Inside you will also find a thank you code exclusively for anyone who buys this kit which entitles you to 10% off future purchases. 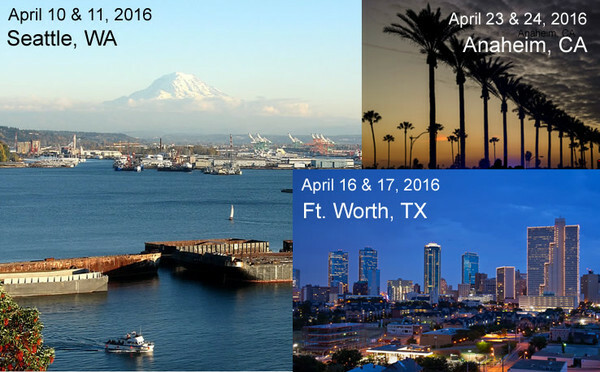 I am very grateful to Ann Kullberg and her team who have arranged for me to travel from Australia to the United States in April to run three two day workshops. 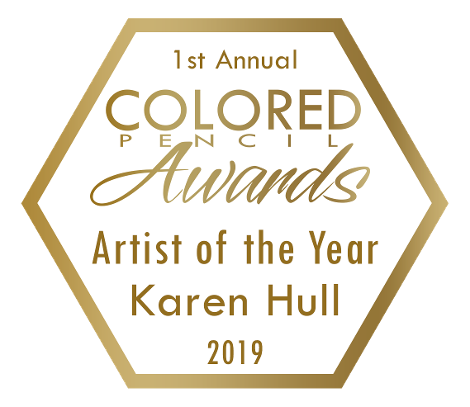 This is a dream come true for me and I am so excited to meet and share with other coloured pencil artists in the US. You can find out more information on Ann's site here. 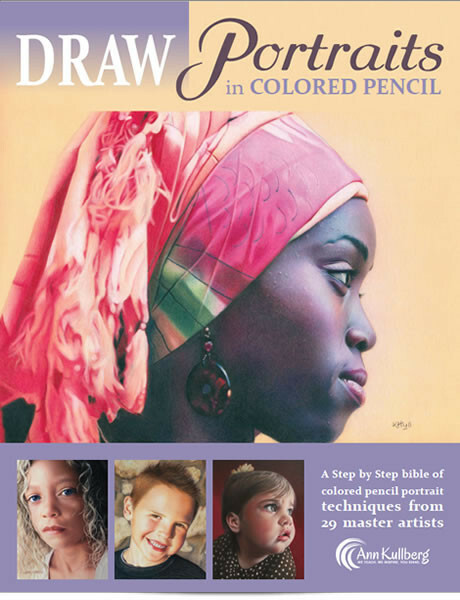 I am happy to share that this wonderful portrait book featuring 29 very talented coloured pencil artists is now available for purchase from Ann Kullberg's site here. 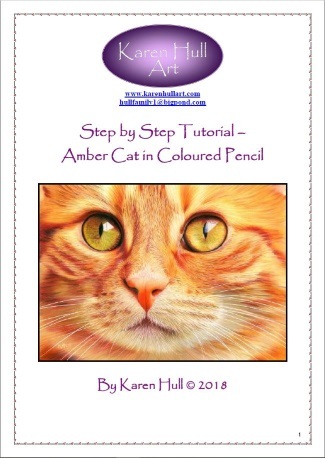 I am honoured to be included as a feature artist and you can find a 10 page comprehensive step by step tutorial of my artwork 'Serenity' which has also been used for the cover image.